Paid links is a problem that Google has been zeroing in more aggressively for the past couple years, and now you can understand how they analyze and gauge which links are paid. 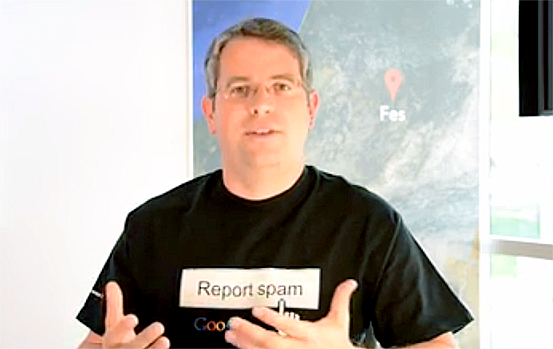 Matt Cutts recently released a video that details how Google’s web spam team recognizes and flags paid links in your link profile. I want to take you through the five main criteria that Cutts discussed in the latest Webmaster Help video. This one’s the most obvious item out of the criteria Google uses. Any links acquired by webmasters in exchange for money is flagged. According to Cutts, this is the most common out of all paid link examples they determine. Google looks at the value of the materials you receive, specifically how close these are to money. Cutts says giving gift cards and anything that may be converted to money and back in order to get links may be considered by Google as link sales. Offers like a free trial or other freebies (like beer, shirts, or pens, the examples he used in the video) are less likely to be interpreted as payment for a link. It all depends on what value you offer and how close this value is to actual money. Giving items as gifts, like cameras, phones, and electronics, in order to get review links is considered by Google as material compensation. On the other hand, loaning these items for review by bloggers and online feature writers is perfectly normal, and is the respected way of gaining natural links. “It can be hard to judge intent, but bear in mind that the vast majority of time, the intent is crystal clear when someone’s giving you actual money to buy links,” Cutts began explaining when he talked about intent. According to Cutts, the reason behind you giving freebies, free trials, and other benefits to your target audience shouldn’t be to gain links that contribute SEO value. If you expect links in return for the perks that you offer, that’s as good as link buying and will be flagged by Google. Finally, they look at whether or not your audience will be surprised at what you offer. Whatever material thing or perk that you offer should be related to why they would write about you. Matt Cutts uses a movie reviewer as an example: it’s not surprising for you to get free access passes to a movie that you’ll be reviewing on your site. On the other end of the spectrum, you have “paid links,” and the example Cutts gave here is a tech blog who writes about a start-up after they receive a laptop from them, which is surprising. You should check the FTC Online Advertising and Marketing Guidelines for more tips on proper disclosure and linking practices. If you suspect that any links in your campaigns may be flagged by Google as paid or unnatural, it’s time for a link profile audit and for thorough link clean-up. Talk to your account manager today or sign up for free if you’re not yet our partner to get started. Can Stolen Content Lead to Panda?